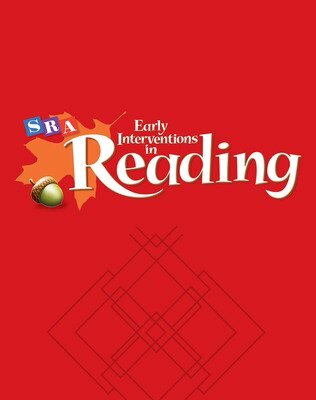 Solid research is at the heart of SRA Early Interventions in Reading. 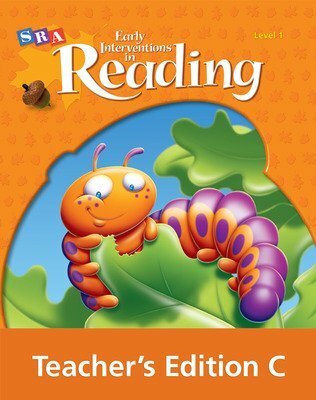 Designed to work comfortably with your core reading program, this early intervention program provides the significant increase in the intensity of instruction that low-level readers need to meet grade-level expectations. 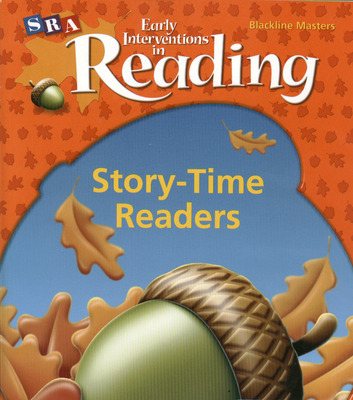 SRA Early Interventions in Reading helps you identify struggling readers in Grades 1-3 and provide them with lessons that build mastery of essential skills through explicit, systematic instruction in five critical strands—phonemic awareness, letter-sound correspondences, word recognition and spelling, fluency, and comprehension. 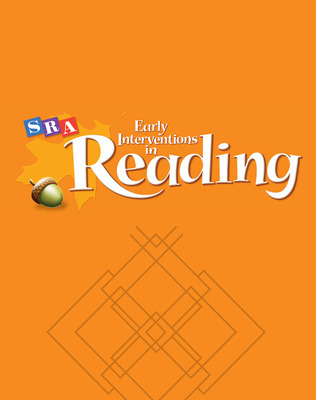 SRA Early Interventions in Reading identifies at-risk children in Grades 1-3 and provides the critical content and clear instruction needed to transform a struggling reader into a skilled reader. 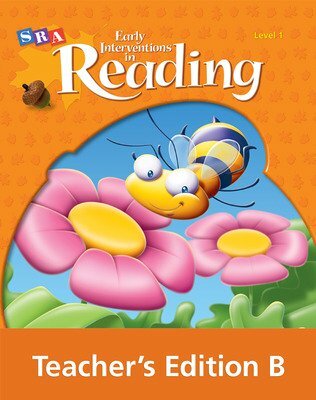 Through daily, explicit, and systematic instruction, the program addresses the needs of children who are not making adequate progress in their core reading program. 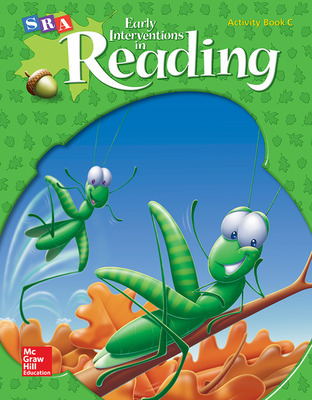 Each integrated lesson works to build student mastery of essential skills through activities aligned along five central content strands: Phonemic Awareness, Letter-Sound Correspondences,Word Recognition and Spelling, Fluency, and Comprehension Strategies. Results from federally-funded research studies using the program materials confirm that, after participating in SRA Early Interventions in Reading for one year, over ninety-nine percent of students at risk of reading failure at the beginning of the academic year were no longer at risk of failing in reading. 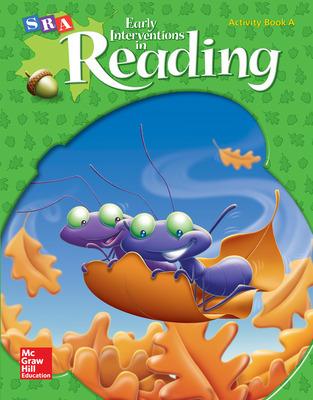 Significant growth on measures of word attack, word identification, passage comprehension, and oral reading fluency were achieved. 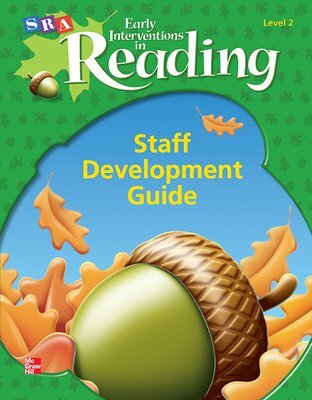 Staff Development Guide and Teaching Tutor CD-ROM provide a comprehensive understanding of the components and techniques used to teach SRA Early Interventions in Reading, an overview of the five content strands, and explicit instructions for teaching the program materials. 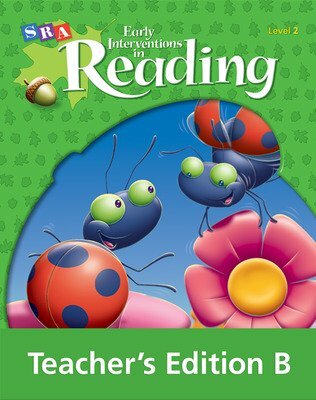 Teacher's Editions (A, B, and C) present carefully sequenced teacher-directed instruction designed to assist students in mastering the integrated skills introduced in the program. 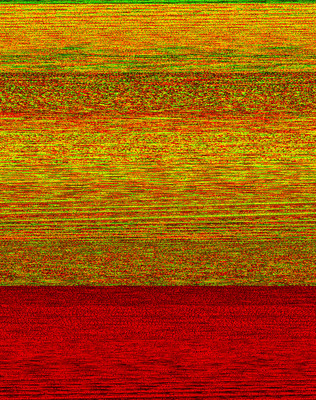 Each lesson consists of multiple strands and the skills used to teach those strands. 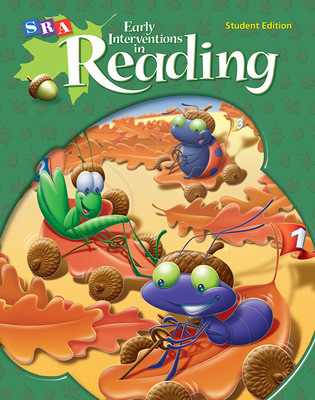 The objectives box on the first page of each lesson lists the strands and objectives for each activity in the lesson. 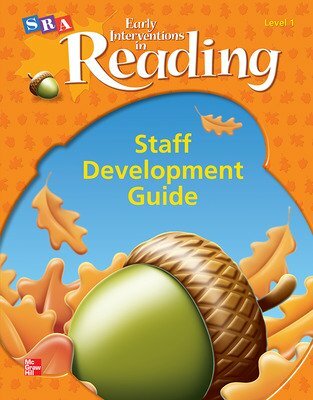 Screening, Placement and Assessment Guide include materials for evaluating and monitoring student performance in the program materials. 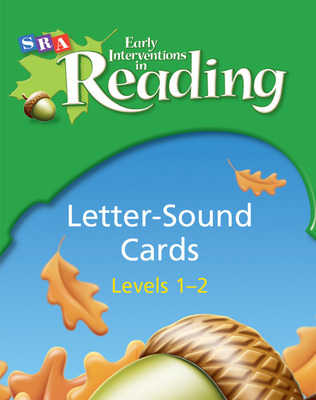 Letter-Sound Cards offer catchy jingles to help students learn letter names and letter-sound correspondences. Tricky Word Cards present words that are considered tricky because not all the letter-sound correspondences in a word have been introduced to the students at the point the word is first used. 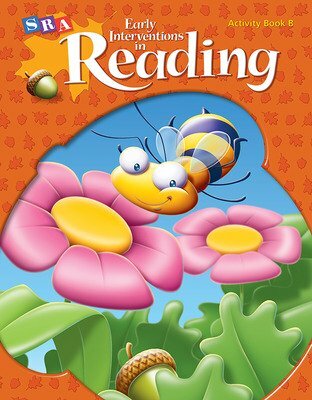 Maxwell (Level 1), a hand puppet in the form of a friendly puppy, makes learning phonemic awareness and letter-sounds fun. 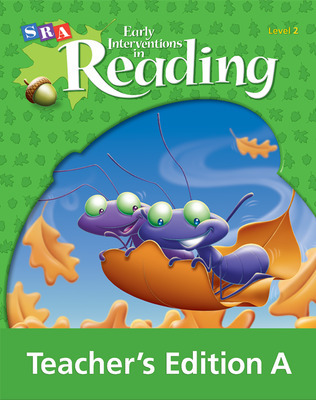 Answer Key for Activity Books (A, B, and C) provide annotated versions of the student activity pages. 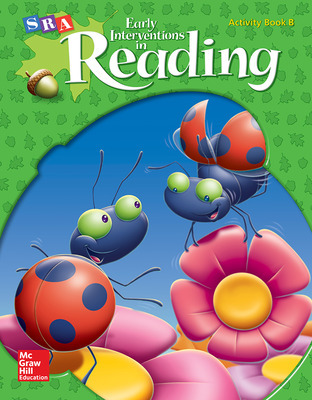 Collection of Individual Story-Time Readers (Level 1) give you 60 engaging decodable books that students read to build fluency and comprehension. Each story provides students with opportunities to read text that is familiar, predictable, and decodable. 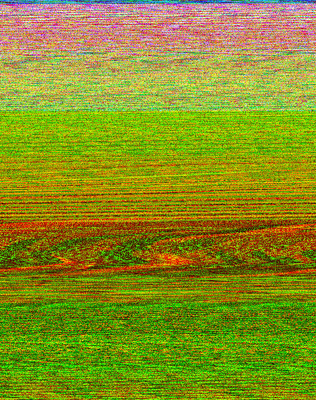 Readers are also available as blackline masters. Challenge Stories (Level 1) are decodable stories in a takehome format to provide additional opportunities for students to apply decoding skills taught throughout the program. Activity Books (A, B, and C) provide skills development and related practice for every lesson. 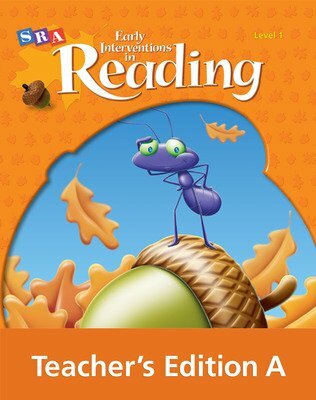 Student Edition (Level 2) presents short fiction and nonfiction selections to help students acquire comprehension strategies and content-rich vocabulary. 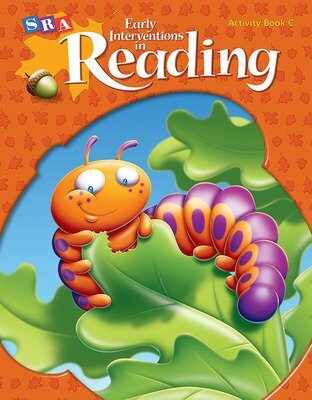 Chapter Books (Level 2) provide high-interest text to develop concepts and related vocabulary that students will encounter in science and social studies (13 books total).